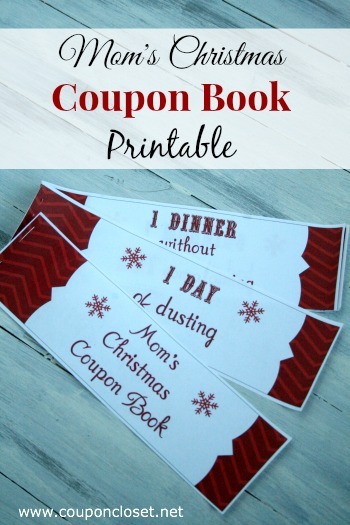 FREE Christmas Coupon Book Printables for Mom and Dad! I think it is safe to say I love finding a good deal. Not only doing I love giving gifts at Christmas time, but I love knowing the savings I got on those gifts. 😉 However, sometimes you need a bit more than a gift you bought. Sometimes you need to give something made…. something with meaning. Today I wanted to share with your a FREE printable. 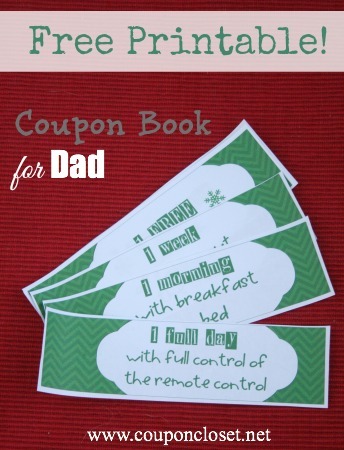 First is a FREE printable Christmas coupon book for Dad. I just love this idea. 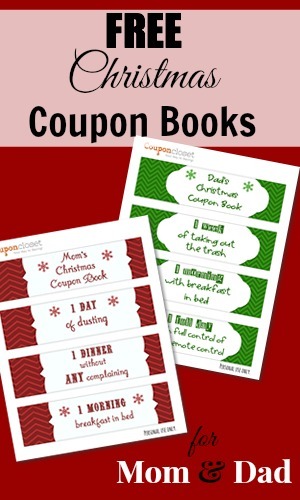 Download and Print your Christmas Coupon Book for Dad HERE. All you have to do is print them, cut them and then staple them together or tie them with ribbon. You instantly have a thoughtful gift. You will be able to print a cover, 10 pre-filled coupons and then 4 blank coupons so you can fill in your own ideas. Don’t worry – we have one for the Mom too! 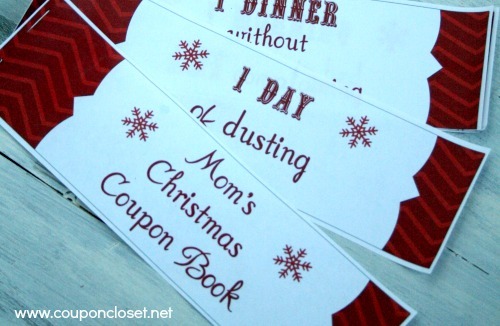 We have a cute Mom’s Christmas Coupon book – print a cover, 10 pre-filled coupons and then 4 blank coupons so you can fill in your own ideas. Download and Print your Mom’s Coupon Book here. It is so easy to get wrapped up in the crazy holiday and forget what we people really want for the holidays. Print these and let your kids give them as gifts this year. Do you ever make coupon books for your family?